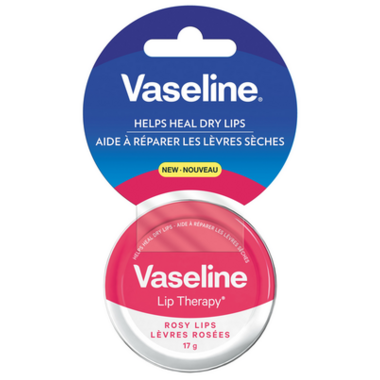 Vaseline Lip Therapy is now available to Canadians in an iconic and covetable tin. The new and improved formula is clinically proven to help heal dry lips and provide long lasting moisturization. Containing the dry skin healing power of petroleum jelly, these non-sticky lip treatments are invitingly soft and melt on to lips to lock in moisture for a sensationally smooth and supple feel. Perfect. Moisturizing and adds the perfect amount of rosiness. Love it. Such a nice lip moisturizer with just a hint of colour. This product is terrible!! 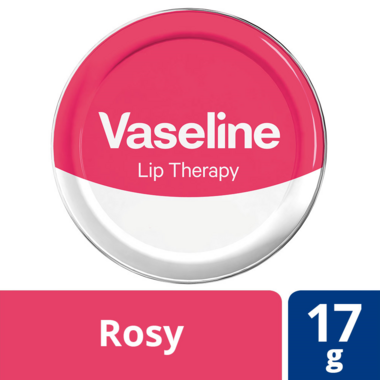 It dries your lips and has the opposite effect of regular vaseline. Amazing, my everyday lip balm! Leaves a very nice and subtle pink hue on the lips while give long lasting moisture. I was not a fan of the scent at first, but it has grown on me. Highly recommended. This product does exactly what it says it will do. I totally love it and highly recommend it. I have tried so many products to get soft and moisutized lips and now I do because of this fabulous product. I now bought the Aloe one, and it is just as fabulous. Absolutely love this product. Not only does it moisturize your lips, it smells delicious!! !